Brace yourself for a thrilling high-seas adventure and dare to set sail for the 'Isle of Fire'. 'A great explosion rocked the crowded harbour. The ferocious blaze engulfed ship after ship expanding the circle of destruction in mere heartbeats. The fire rain had been unleashed.' As Cat's memory returns, he realises that he has lived two very different lives. Now he must choose whether to return to the ways of his notorious father and join the evil Merchant, or defy the Merchant and risk his life to save his friends. 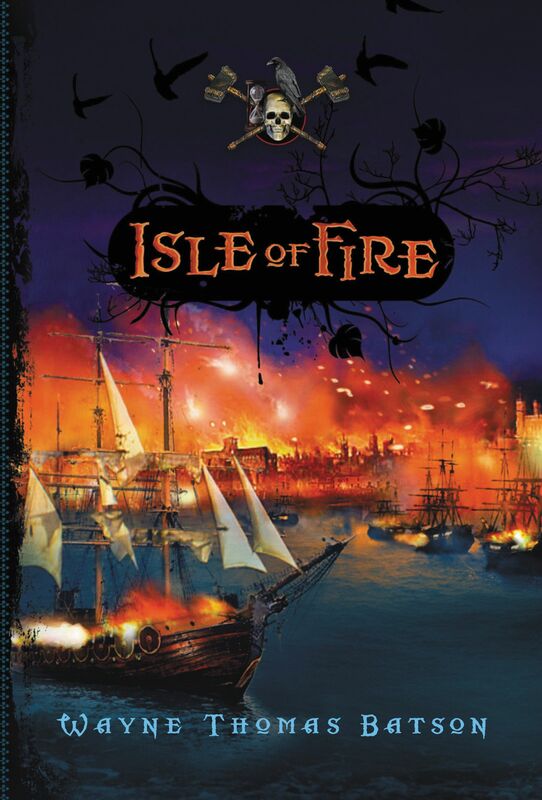 The best-selling 'Isle of Swords' adventure continues in 'Isle of Fire' as ancient mariners rise from legend and cut an all-too-real swath of destruction across the Atlantic. The newly formed Wolf Fleet scours the Caribbean, hunting the pirates they once called comrades. And in the pitiless winds of a monstrous hurricane, whole fleets will be blasted apart and devoured. Isle Of Fire by Wayne Thomas Batson was published by Thomas Nelson in August 2009 and is our 13917th best seller. The ISBN for Isle Of Fire is 9781400315123. Be the first to review Isle Of Fire! Got a question? No problem! Just click here to ask us about Isle Of Fire.